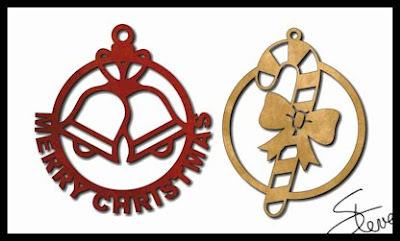 Two Christmas Ornament Scroll Saw Patterns. Here are a couple more Christmas ornaments for you to cut. If you are looking for all the ornaments I have ever designed just visit the free online catalog and select the "Ornament" category. Remember that all my patterns are always available in the free online catalog. Just visit the blog and look for the Pattern Catalog link near the top.